Mr. Schaller began his life-long career in the hardwood lumber industry when, as a young boy, he went to work for Luehrman Lumber Company in St. Louis as an office boy. Over the years through hard work Mr. Schaller advanced to positions in sales and sales management at Luehrman Lumber Company. Mr. Schaller was later recruited and hired as office and sales manager at The Thomas and Poe Lumber Company. When The Thomas and Poe Lumber Company became available for sale, Mr. Schaller and another fellow employee purchased the company and renamed it as Gaines Hardwood Lumber Company. 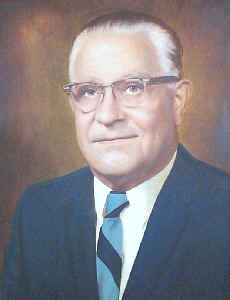 Mr. Schaller served as Vice-President of Gaines Hardwood Lumber Company until he resigned in 1960 at the age of 61. Mr. Schaller’s life-long dream was to own his own company under his name. At the age of 61, when most people are retiring or dreaming of retirement, Mr. Schaller started a new company. Mr. Schaller started Schaller Hardwood Lumber Company when he purchased Christman Plywood and Veneer Company and added hardwood lumber to the product mix. Schaller Hardwood was formed on November 1, 1960.